We all know that massages are relaxing, and this undoubtedly has a positive effect on your mental and physical wellbeing; in reality, the benefits of massage are much less vague. In terms of its therapeutic value, massage offers much more than you’re probably aware of. That’s why we’ve come up with a definitive guide to massage, which explains why booking yourself in for some regular treatments can work wonders. Massage involves stroking, kneading, warming, rolling and pressing the skin and muscles to revive, heal and relax the body. As a therapeutic practice, massage dates back thousands of years. The first written records of massage therapy have been found in ancient Chinese and Egyptian texts, although it’s thought to have originated around 3000 BCE in India, as an Ayurvedic treatment. Ayurveda is one of the world’s oldest holistic traditions, and derives from the Indian subcontinent; Ayurvedic massage is still widely practised today. In the early 1800s, Swedish physical educator Pehr Henrik Ling developed a method of movement therapy. Now regarded as the foundation for a Swedish massage, Ling’s teachings – and those of his contemporaries, introduced massage therapy to the West. Today, Swedish massage is considered the most popular massage style in the western hemisphere. Using long, gliding strokes, kneads and circular motions, it helps to ease shallow tension in the muscles. There are various types of massage and each of them has broadly different origins and aims. Some are designed to soothe muscle pain, whilst others aim to improve a specific physical condition; some improve energy levels, and some are simply meant to help you relax. Whatever kind of massage it is, they’re all designed to make you feel invigorated, healthier and more calm. Alright already! I hear you cry, what about the benefits of massage?! Well, broadly speaking, massage therapy is thought of as a complementary, holistic medicine. Massages can help to lower your stress hormone levels, whilst boosting those ‘feel good’ neurotransmitters like dopamine, serotonin, endorphins and oxytocin. As such, they’re known to relieve anxiety and lift your mood. Massage therapy improves blood circulation and lowers blood pressure, leading to improved cardiovascular health. Massages are known to reduce the symptoms of muscle soreness and inflammation after exercise. The pressure and movement involved with massages releases tension in the muscles and improves blood flow in the body, speeding up recovery time and eliminating toxins that build up in the muscles when you work out. Lactic acid, the toxin which causes muscles soreness, is broken down more easily after having a massage treatment. If you have trouble sleeping, whether it’s due to insomnia, stress or a busy lifestyle, consider treating it naturally; massages help to restore sleeping patterns and promote deeper sleep. The improved sleeping patterns and mood-boosting effects of massage go towards strengthening the body’s immune system. Massage is also thought to improve the functioning of the lymphatic system, which is an important part of the immune system. Massage is used to treat chronic pain in those with physical conditions like fibromyalgia; a long-term syndrome that causes body pain, joint rigidity, fatigue and muscle spasms. Regular massage sessions can also help relieve the symptoms of arthritis and lower back pain, whilst deep tissue massages are widely used to treat muscle damage that’s been caused by injury. By working on tendons, muscles, connective tissues, ligaments and joints, regular massages improve flexibility and motion, which can better your performance in physical activities and decrease your risk of injury. A 2002 study found that massages can help to relieve headaches, reducing their frequency and duration. For smoother skin that’s positively glowing, forget slathering on different lotions and potions, because massage improves skin tone. It rids the body of toxins and increases blood flow, which brings fresh oxygen and nutrients to the skin and promotes the presence of red blood cells – the body’s natural healing agents. What’s more, massages are exfoliating; the kneading movements gently remove dead skin cells, to leave the skin looking more radiant. 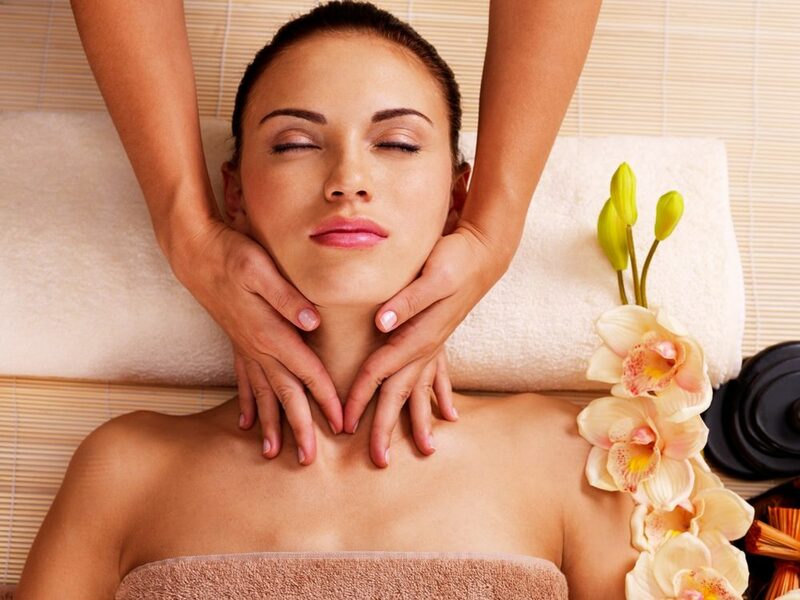 Massages also improve the skin’s elasticity, which leaves it feeling firmer and looking younger. Blood flow promotes collagen production and stimulates cell growth, helping to prevent fine lines and wrinkles whilst also tightening the skin. Scalp massages increase blood flow to promote healthy hair growth. Enhanced blood flow to the scalp can also alleviate the symptoms of an itchy, dry scalp and reduce dandruff. Though it might sound too good to be true, massage therapy can be used to support weight loss. Not only does it contribute to a more positive post-workout experience (meaning you’re more likely to keep going with your cardio), it maximises the supply of nutrients and oxygen to your muscles – which helps them to grow and burn more calories. Plus, lymphatic drainage is great for keeping cellulite at bay.